​Arsenal are set to go head-to-head with Borussia Dortmund over the signing of EA Guingamp forward Marcus Thuram. The 21-year-old, who is the son of legendary Frenchman Lilian Thuram, has starred for the Ligue 1 side this season, and is widely expected to be on the move this summer as Guingamp continue to struggle at the bottom of the league. News of ​Arsenal's interest in Thuram comes from ​Le 10 Sport, who state that the Gunners have been closely following Thuram's development this season. The left-winger has managed 11 goals in 29 appearances since the start of the campaign, but he has been unable to prevent his side falling to 18th in the Ligue 1 table. As a result, it is expected that he will be made available for sale at the end of the season, potentially at a reduced price as he enters the final year of his contract. Manager Unai Emery is said to be ready to use his Ligue 1 connections to steal the edge in the race for Thuram's signature, having grown familiar with the French market during his time with Paris Saint-Germain. However, he will face stiff competition from ​Dortmund, who themselves are incredibly comfortable with signing players from France. The likes of ​Pierre-Emerick Aubameyang and ​Ousmane Dembele blossomed into world-renowned superstars following their moves to the ​Bundesliga side, and they are keen for Thuram to add his name to that list. 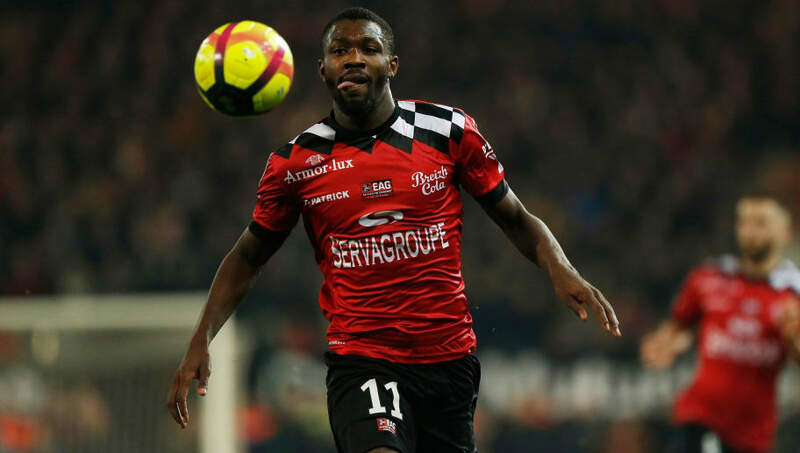 No decision has been taken on Thuram's future by either Guingamp or the player himself, with the two parties both waiting to see what offers arrive once the season comes to a close. The towering winger boasts the kind of agility which is seldom seen amongst players of his height, whilst he is just as comfortable aerially as he is with the ball at his feet, which has often seen Guingamp deploy Thuram as a central striker. This kind of versatility would certainly appeal to Emery, who is said to be on the lookout for a forward to help bolster his attacking options. Danny Welbeck is set to leave the club at the end of the season, and Thuram could be the man to replace him.